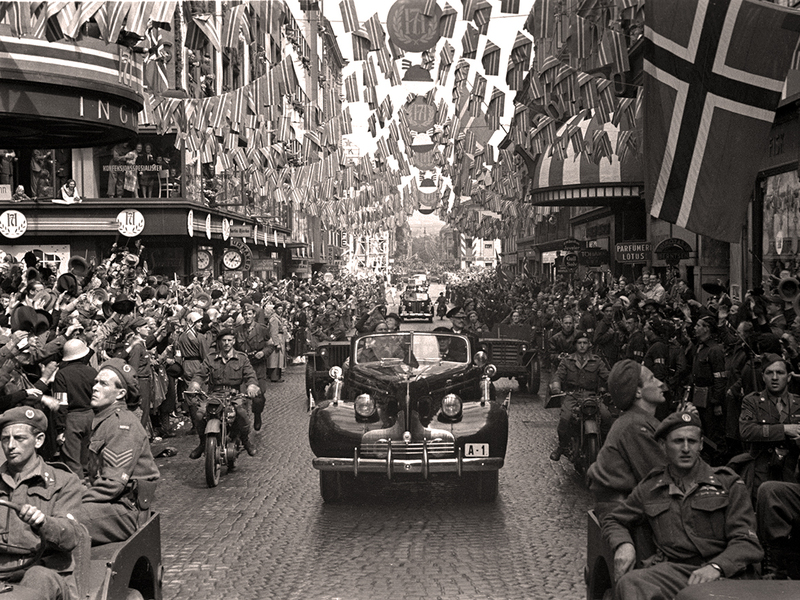 German troops invaded Norway on 9 April 1940, planning to capture the King and the Government in order to force the country to surrender. However, the Royal Family, the Government and most members of the Storting were able to flee before the occupying forces reached Oslo. The heavy cruiser Blücher sailed into the Oslofjord in the early morning hours of 9 April. Accompanied by several smaller vessels, the Blücher was transporting German troops to the capital. 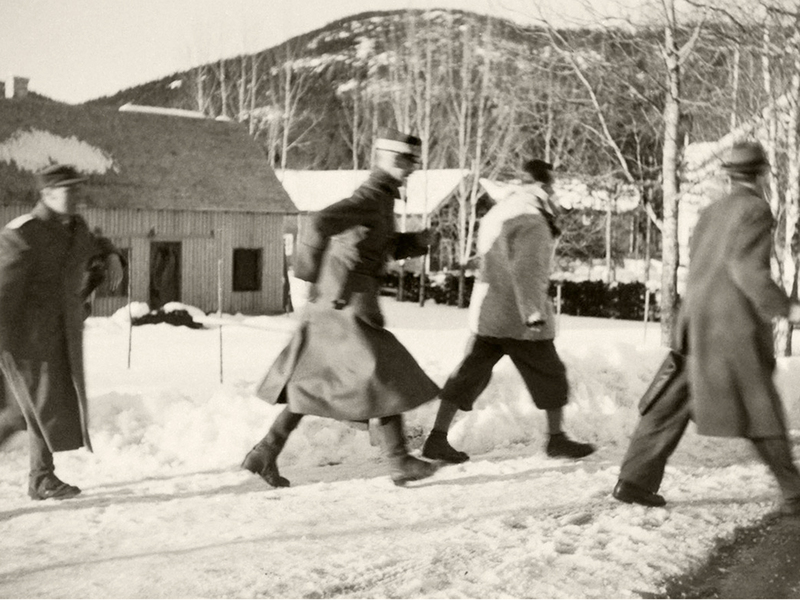 Their task was to arrest the King and the members of the Government to compel Norway to capitulate immediately. The German vessels were first spotted by the Norwegian Coast Guard at Færder lighthouse and subsequently at Bolærne Fort in the Oslofjord. Notification of approaching foreign battleships was sent to Oscarsborg Fortress, strategically located at the narrowest point of the Oslofjord. As the ships entered the Drøbak Sound, the commander at Oscarsborg, Colonel Birger Eriksen, gave the order to open fire. The Blücher was hit by artillery from the fortress’s cannon, nicknamed “Moses” and “Aron”, and then by torpedoes fired from the adjacent island of Northern Kaholmen. The Blücher sank at 06.22 hours, and much of its crew of over 1,300 men was killed. The sinking of the Blücher delayed the German troops’ advance on Oslo, giving the Royal Family, the Government and the Storting representatives the time needed to escape to safety. The members of the Royal Family, the Government and the Storting boarded a special train at the Oslo Eastern Railway Station and headed northwards. Convened at Elverum in Eastern Norway, the Storting gave the King and the Government full authority to rule the country for the duration of the war. On 10 April King Haakon met with the German envoy, Curt Bräuer. The Germans demanded that the Government headed by Johan Nygaardsvold, which had refused to capitulate, step down, and that the King appoint a government headed by Nazi sympathiser Vidkun Quisling. The King put forth the German demands in an extraordinary meeting of the Council of State in the village of Nybergsund. 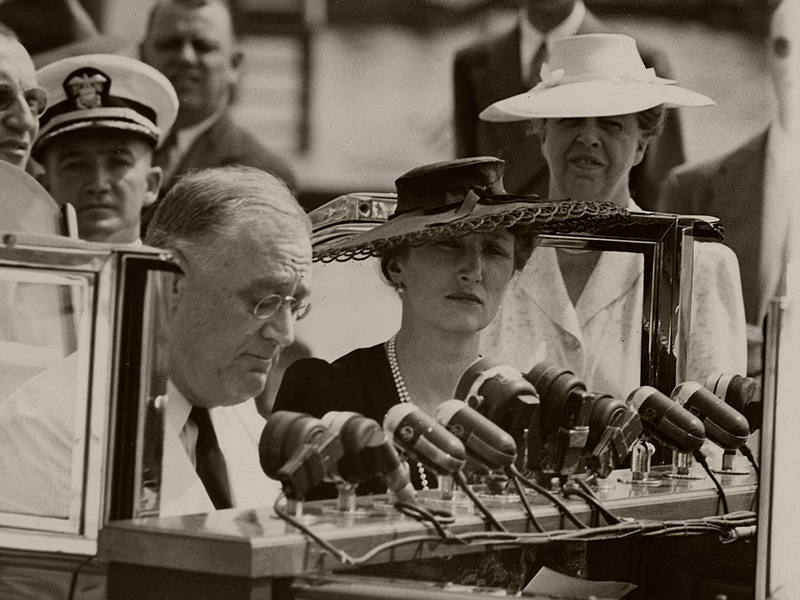 The King stated that he would not attempt to influence the decision of the Government in this matter, but that he could not comply with the German ultimatum. He would rather abdicate than appoint Quisling prime minister. The Government supported the King’s decision and maintained its oppositional stance. The German forces responded by repeatedly bombing Nybergsund. It soon became clear that Norway would be unable to withstand the German forces, even with Allied support. The Allies decided to withdraw, leaving the King with a difficult choice. He decided it would be best to leave the country, together with Crown Prince Olav and the Government. They departed from Norway on the British heavy cruiser Devonshire on 7 June. A government in exile was established in London. It was essential that Norway’s constitutional powers be upheld in unoccupied territory. For the next five years the government-in-exile led and coordinated Norwegian war efforts from its base in London. King Haakon became the foremost symbol of the Norwegian people’s will to fight for a free and independent Norway, and his radio broadcasts from London served as a source of inspiration for young and old alike. In Norway the German occupation authority, led by Reich commissioner Josef Terboven, attempted to establish a legal occupation government, elected by the Storting, to collaborate with the Nazis. However, this required the King’s abdication. 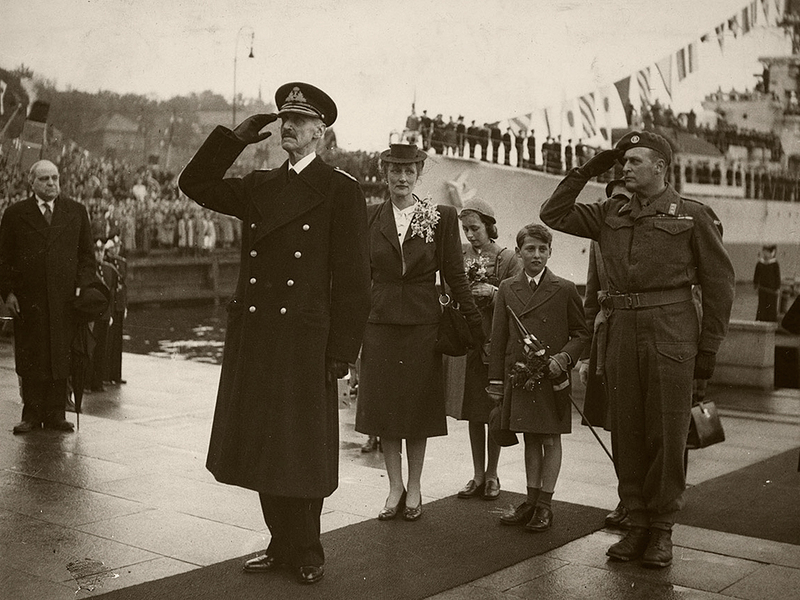 In a speech on 8 July 1940 King Haakon made clear that he would continue to fulfil his duties as King of Norway, once again refusing to comply with German demands. On 25 September plans to establish an occupation government were finally abandoned. Terboven declared the King and the Government deposed, and outlawed all political parties other than the Nasjonal Samling (Norwegian National Socialist party). All activities in support of the Royal Family were forbidden. 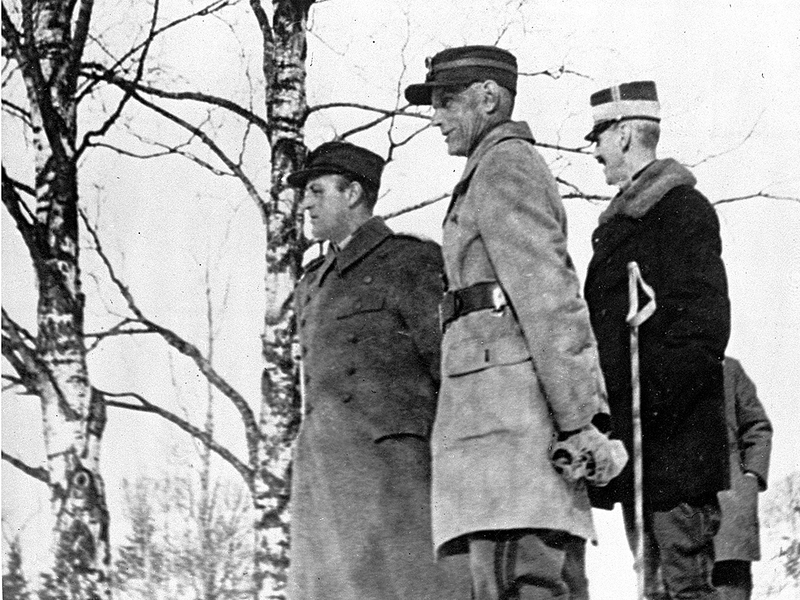 King Haakon and the government-in-exile stood firm in their resolve to fight until Norway was liberated. On 30 June 1944 the government-in-exile in London appointed Crown Prince Olav Chief of Defence. He overtook leadership of the Norwegian armed forces and cooperated with the Allied Powers. Crown Princess Märtha and her three children crossed the border into Sweden on the night of 9 April 1940. They stayed with her Swedish family until 12 August, when they travelled to the USA at the invitation of President Franklin D. Roosevelt. Her friendship with the US president and his wife opened doors for the Crown Princess, who worked assiduously to promote Norwegian interests while living in the USA. Germany capitulated on 8 May 1945. 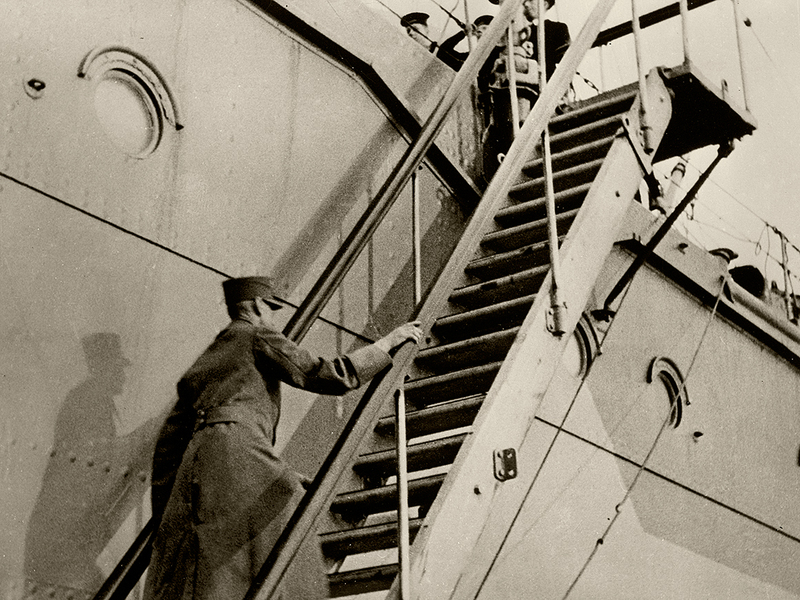 On 13 May Crown Prince Olav and five government ministers returned to a liberated Norway. King Haakon, Crown Princess Märtha and the children returned on 7 June, five years to the day that the King and Crown Prince had been forced to leave the country. 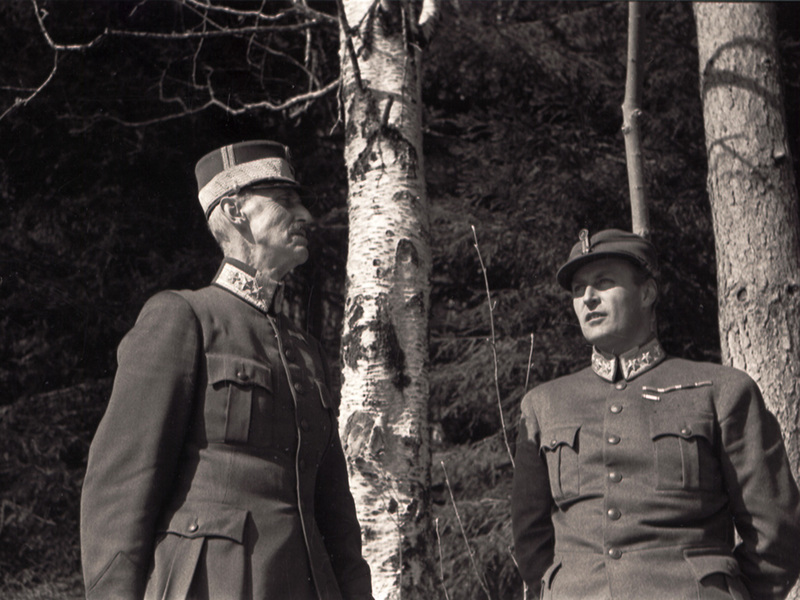 King Haakon and Crown Prince Olav seek cover as German planes attack Nybergsund 11 April 1940. Photo: Johan Wilhelm Clüver, the Royal Collections.